Manuel K is an independent rock singer, guitarist, keyboard player and songwriter from Switzerland. Manuel K was formerly known as lead singer and guitarist of the rock band Nextmile and Rockcousins. After releasing five EPs, two singles, an album and playing many live gigs, TV and radio performances across Switzerland, the three band members decided to go separate ways in 2012; this led Manuel K to start his solo project soon after. Manuel K‘s first single “Back to Guitars (Demo)” was digitally released on January 31, 2013. 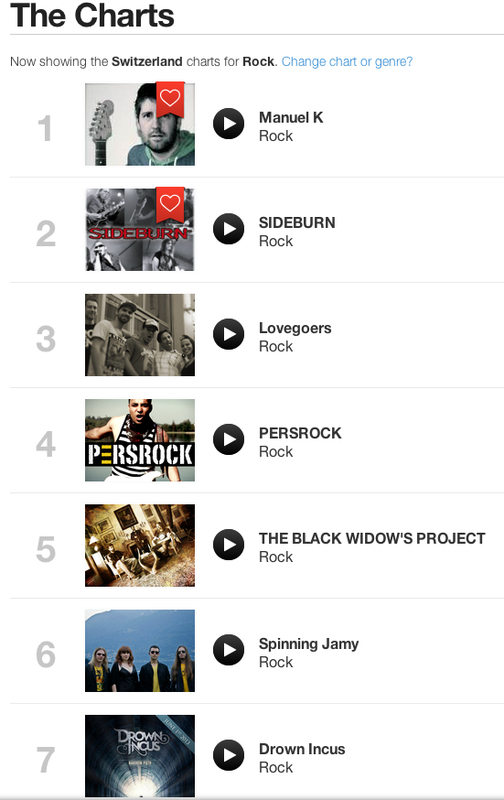 “Back to Guitars” is a guitar-driven blues rock song. His second single “Tonight“ is an emotional love song and was released on June 22, 2013. 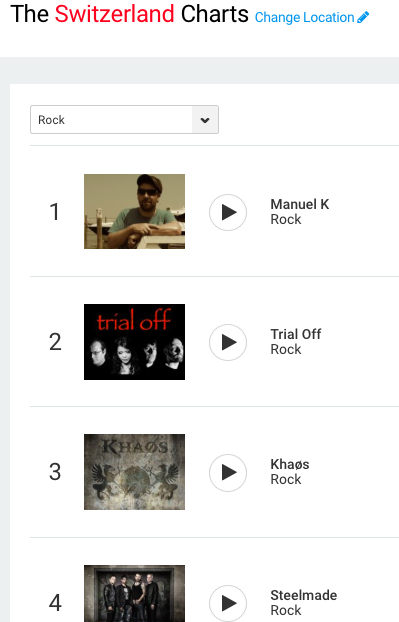 Fans couldn’t get enough of his songs and in the summer of 2013 Manuel K held the number 1 spot for 4 weeks straight on the national ReverbNation Rock charts for Switzerland. On January 31, 2014 Manuel K released his third single “Live Without You (2014)” – a stunning rock ballad. The first version of the song was released by Manuel K’s former band Rockcousins in 2009. Due to the fact that shortly after the release of “Live Without You” Rockcousins went separate ways, only a few people heard the song. Therefore Manuel K decided in 2013 to release a totally new version of the song in 2014. The new version was very well received with good reviews on music blogs and airplay from online radio stations around the world. 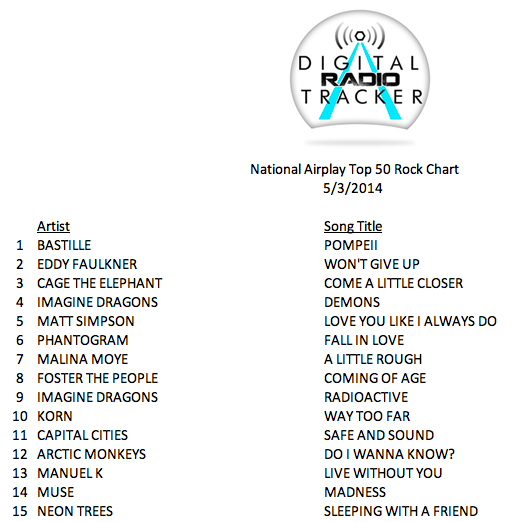 From April to July 2014 the track entered the Digital Radio Tracker airplay charts in the USA. “Live Without You (2014)“ held spots on the following Digital Radio Tracker airplay charts in the USA from April to July 2014. Fans of Manuel K feel the connection to his music and his lyrics have done well in songwriting contests. 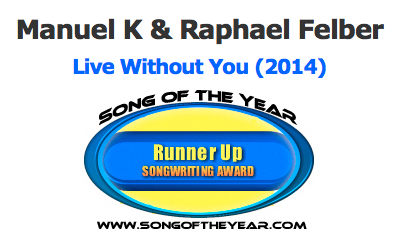 “Live Without You (2014)” (Songwriters: Manuel K and Raphael F) received the Runner Up Songwriting Award for the Song of the Year songwriting contest in July 2014. 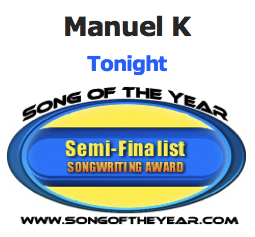 In October 2014, “Tonight” (Songwriter: Manuel K) reached the Semi-Final round in the same contest. “Follow You“ was created with recordings from well-known session musician Kenny Aronoff on drums and percussion at “Uncommon Studios L.A.” engineered by David Jenkins, Mike Brignardello on bass in his own studio “Miracle Sounds” in Nashville TN and Grammy Award winner Brent Mason on additional guitars recorded at “Gas Money” in Nashville TN by Herb Shucher. The song was mixed in Vancouver BC by well-experienced sound engineer Delwyn Brooks and mastered at “The Green Jacket” by Greg Reely. 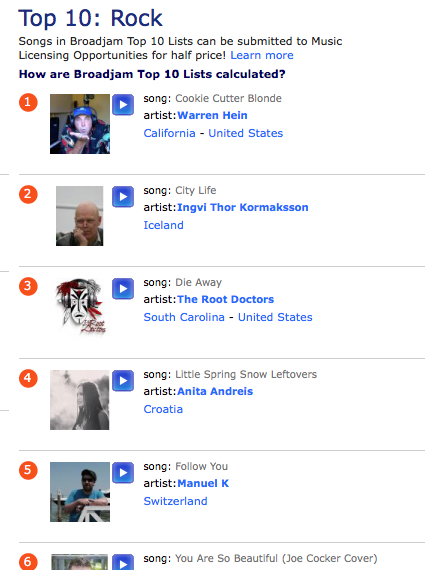 Once again, the new track „Follow You“ was well received with good reviews on music blogs and airplay from online radio stations in different countries. In February 2016, Manuel K’s music was awarded for the third successive time. 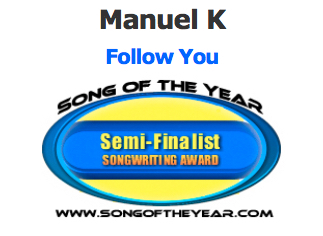 The Song of the Year songwriting contest has awarded Manuel K the Semi-Finalist placement for his self-written fourth single „Follow You“. A special edition EP of „Follow You“ was released on August 31, 2016 including the powerful indie rock track „Follow You“, the stunning rock ballad „Live Without You (2014)“ and two previously unreleased instrumental versions. 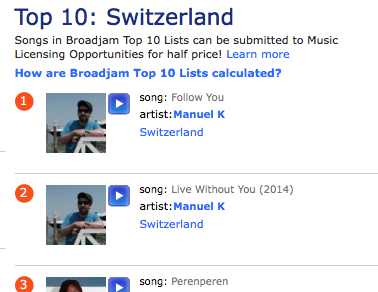 In 2016 and 2017, Manuel K returned to the top of the national ReverbNation Rock charts for Switzerland several times and entered various Top 10 charts on Broadjam as well. Manuel K’s music is available on CD Baby, iTunes | Apple Music, Amazon, Google Play, Spotify, Deezer and other major online music stores or streaming sites worldwide.